Rep Nexus aims to make things easier for you as a business person. This is why we always focus on ease of use and automation. 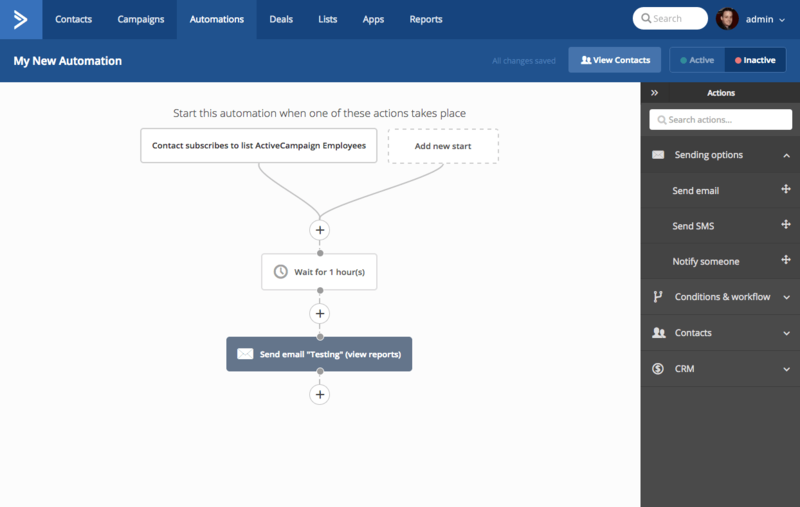 An Automation is basically a set of instructions that you give the platform to perform automated actions like sending a email, subscribing to a list, notifying an email address, etc. This is a truly powerful feature that would save you time and money. 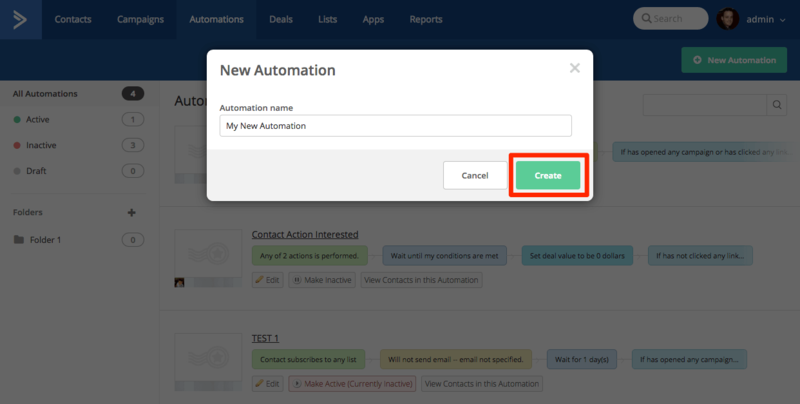 This guide will show you how to create an Automation on your account. 1. Click the ‘Automations’ link in the navigation bar. 2. 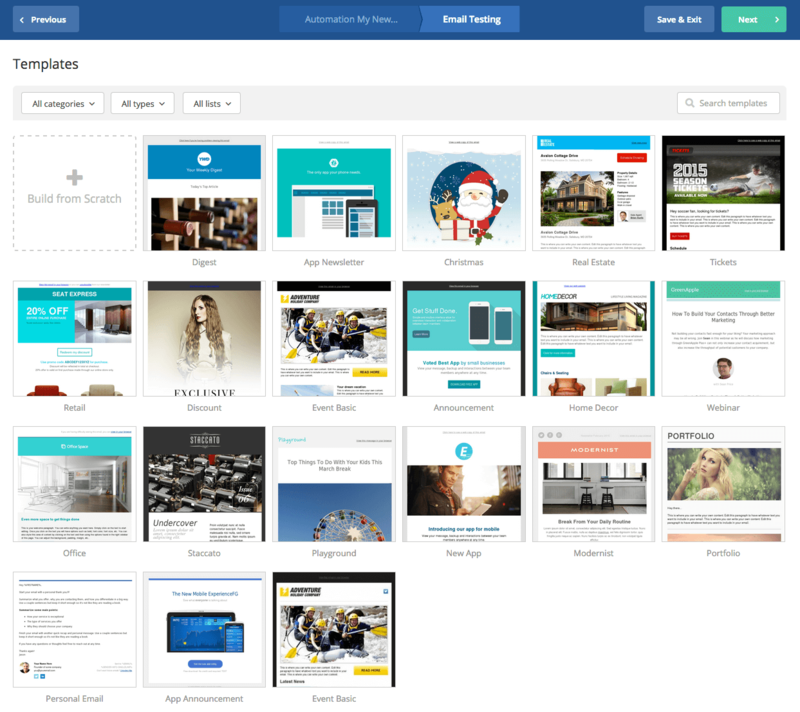 This will take you to your Automations page where you’ll see all the automations you have created. 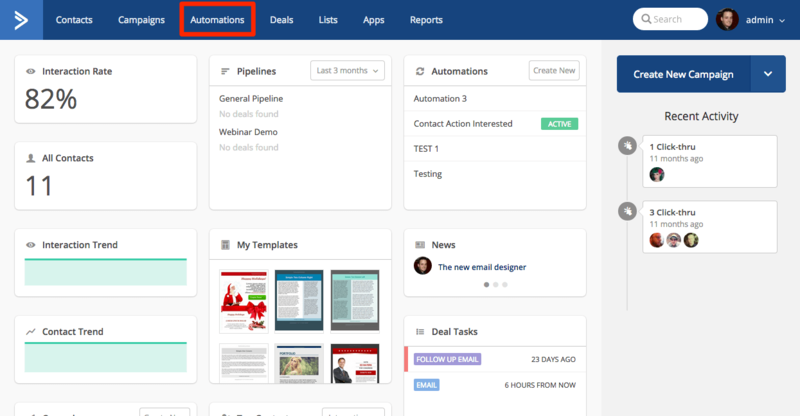 To add a new automation, click on the ‘New Automation’ button in the upper right. Choose a start action and continue. 5. You will be presented with action options. These may vary depending on the start action you choose but here you can choose does this ‘Runs once’ or ‘Runs Multiple times.’ This is referring to starting on a per-contact basis. If you choose ‘Once’ it will only occur the first time each contact triggers the action. If you choose ‘Multiple times’ it will trigger every time they do that action. 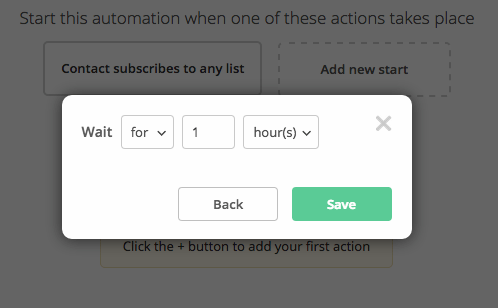 Example: If you choose ‘Submits a form’ as your start setting it to ‘Runs Once’ will only trigger the automation once no matter how many times the same contact submits the form. 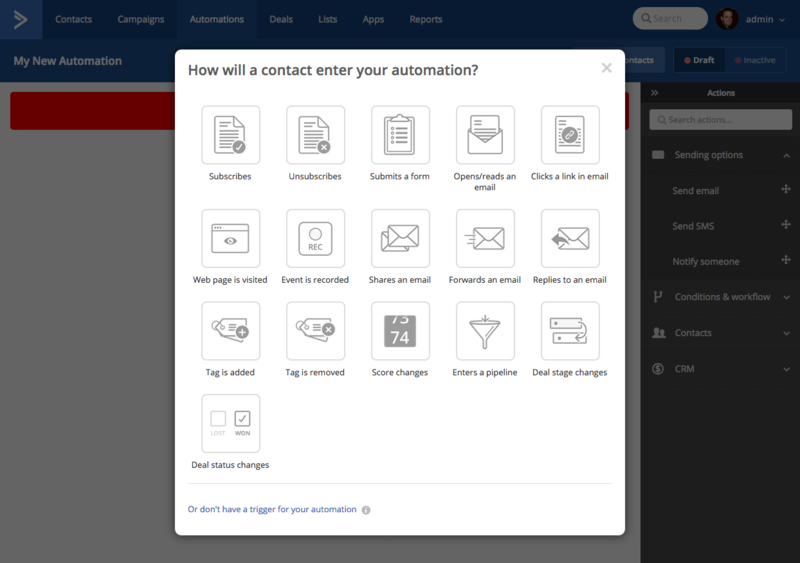 If you choose ‘Runs Multiple times’ the contact would enter the automation every time the form is submitted with their contact information. 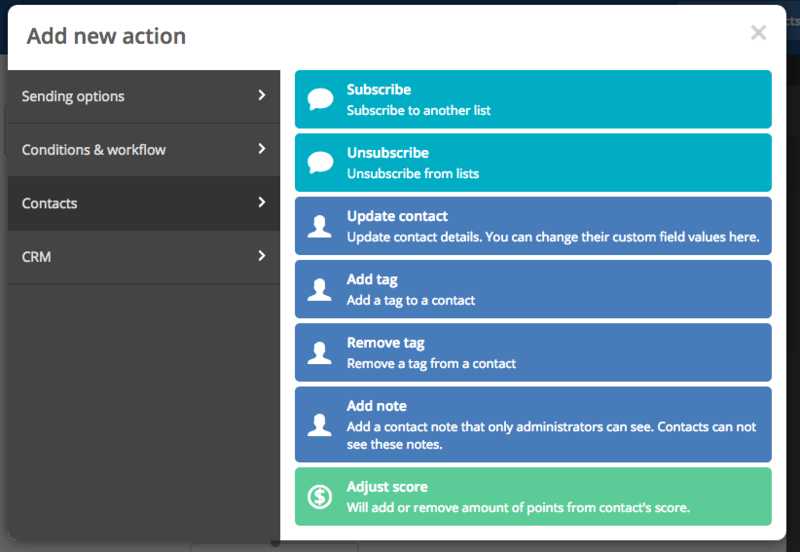 You can also segment your start to limit the trigger to only contacts who meet specified criteria. 6. 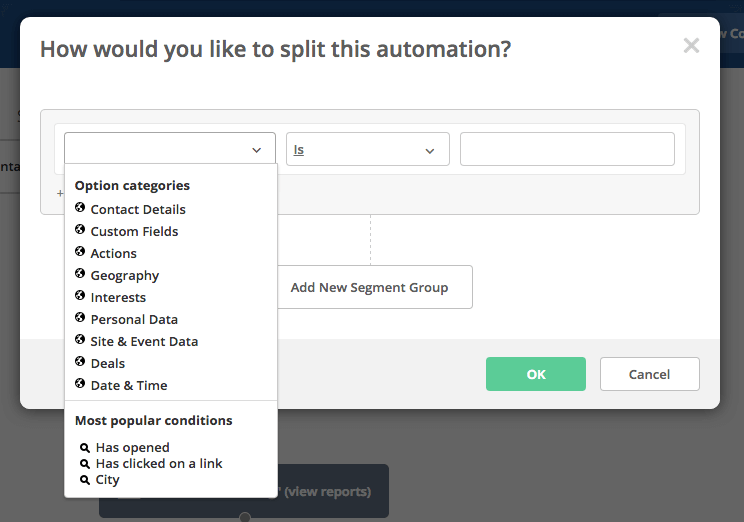 Click the plus button to add the first item to the automation. 7. 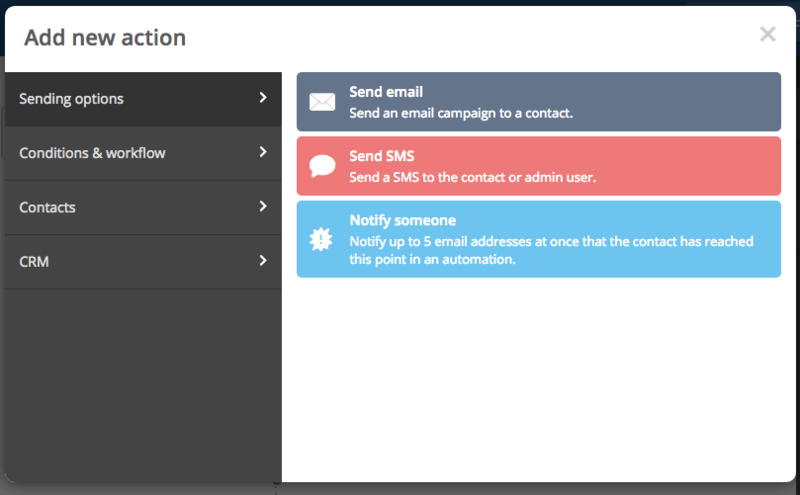 After clicking the “+” button, you will get a pop-up/modal with all the automation features available to you. These are divided into different sections. 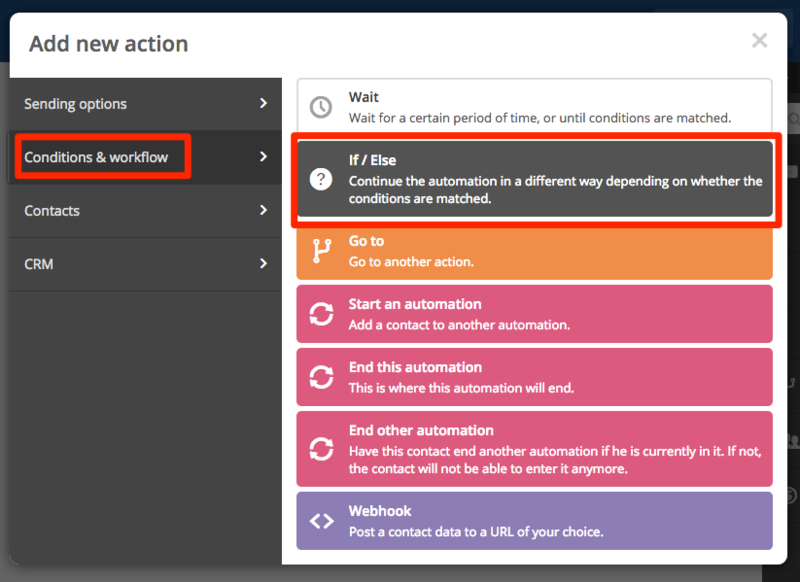 For this guide, we will be choosing the “Wait” option under the ‘Conditions & workflow’ section. 8. You have two options for the wait option. We will choose Wait for an Hour after subscription for our example. 9. 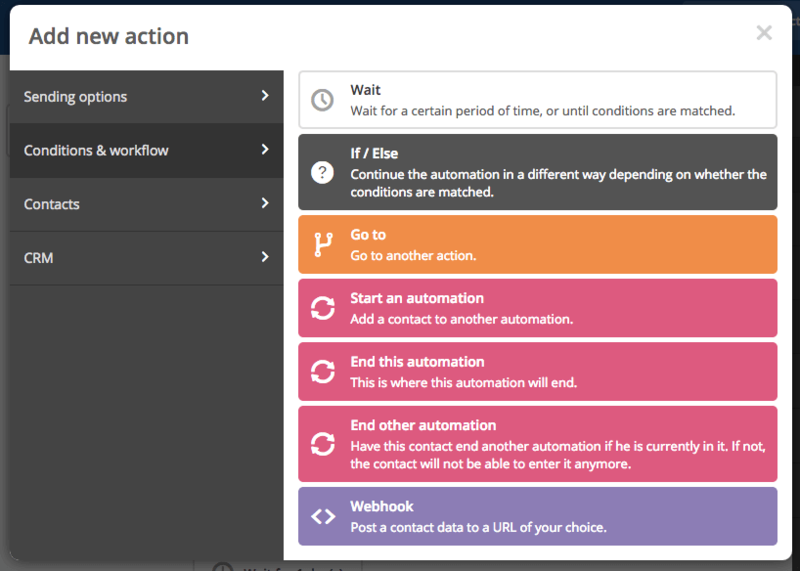 You can add more Actions and Conditions to your automation until you have your desired automation set. We will add a couple more to our example to give you an idea of how some of the options work. 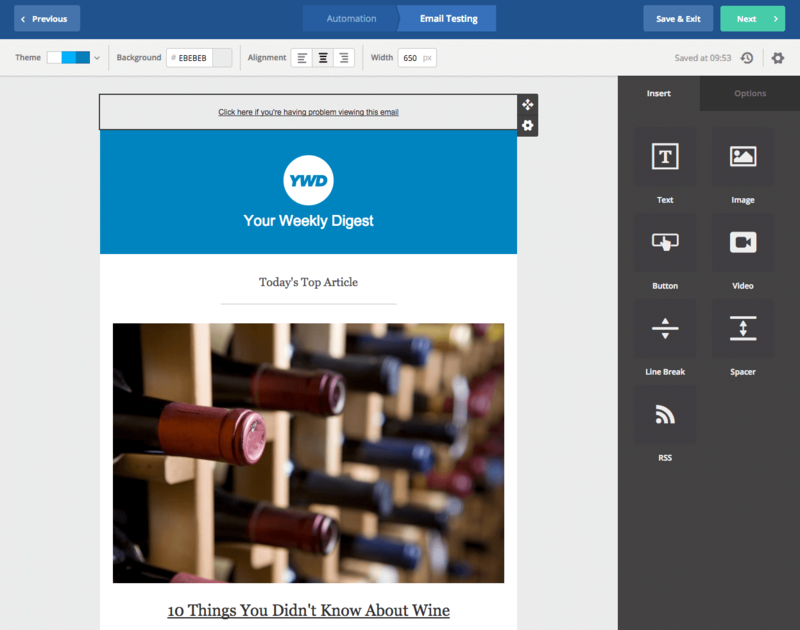 9.b You can now choose the template for your email. Choose the template and type in a subject. 9.c The next page will let you design the message. Once you’re done, click the “Next” button to advance to the Summary Page. 9.e You will now see the campaign as node on your series. We’ll go ahead and add a couple more options on our series. 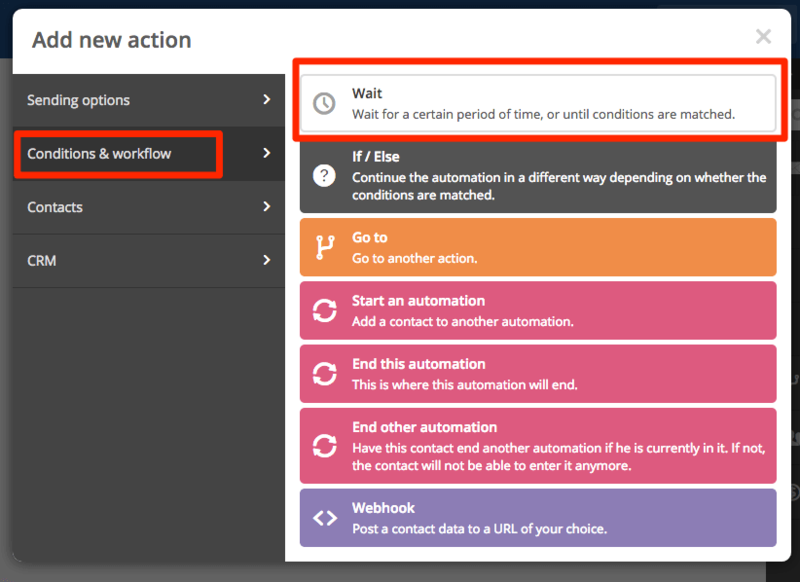 9.g Next click the + button below the wait step we just added and choose ‘If/Else’ from the ‘Conditions & workflow’ section. 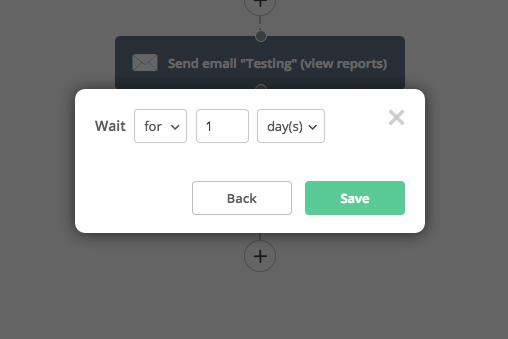 9.i You’ll now get a pop-up/modal where you can set any number of conditions before the next action takes place. We’ll be choosing the condition “Has opened” and we’ll select the message we created earlier. This basically means that if the condition is met the contact will go to one branch, if not, they’ll go to the other. 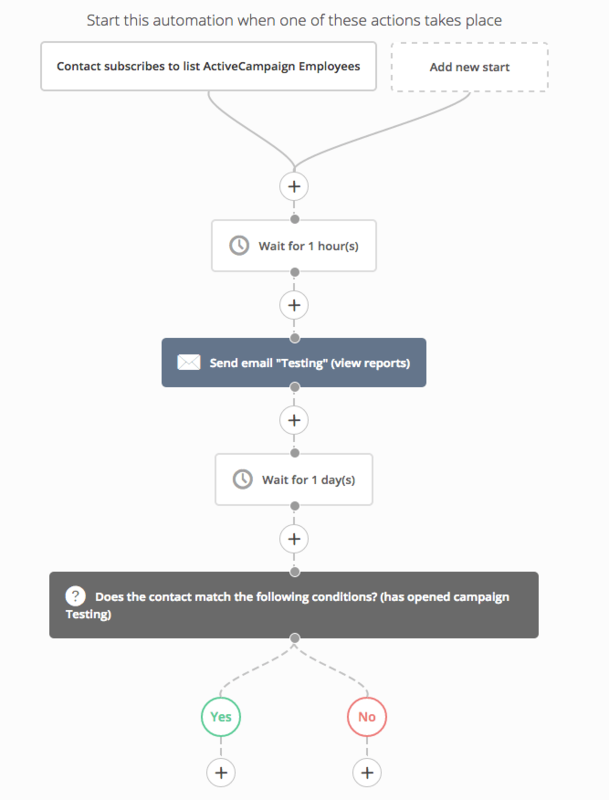 From here you can add more steps to each respective path and continue the automation. 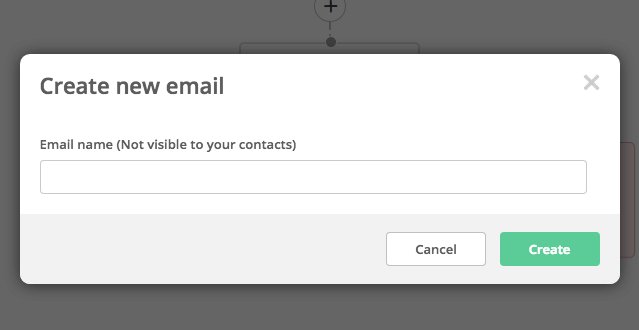 This can include subscribing the contact to additional lists, or sending the contact additional messages. As you may see there are endless possibilities for you when creating your automation. 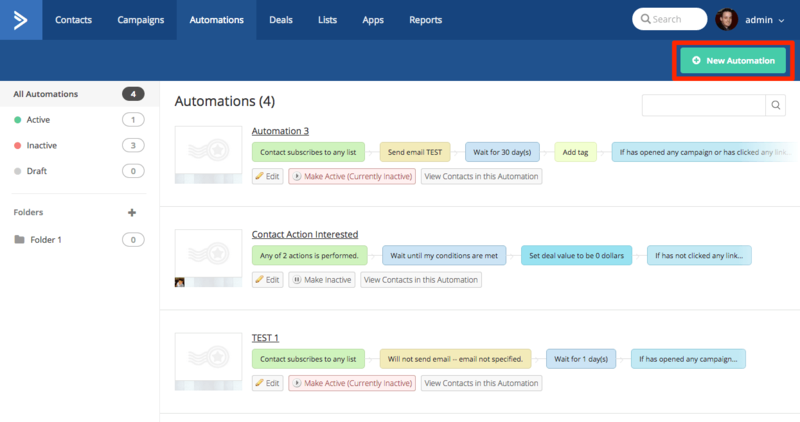 You can even automated your entire marketing process using this feature. In effect, you’ll save a lot of time, effort, and money. Below, you’ll see a screenshot of all the options you have to choose from, these are divided into their respective sections. 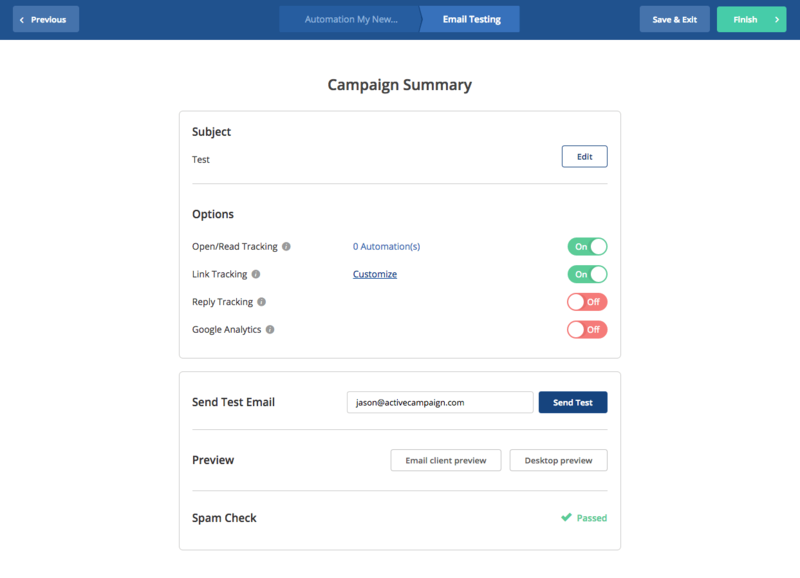 Send email – Allows you to create a new email message or select an existing one to send to contacts in the automation. Notify someone – Sends a notification to someone on your team. If / Else – branches the series based on certain conditions. If the the condition is met, it will go to one branch, if not, it will go to the other. Conditions can be based on fields, actions, location, etc. Go to – redirects the contact’s path to another step elsewhere in the automation. 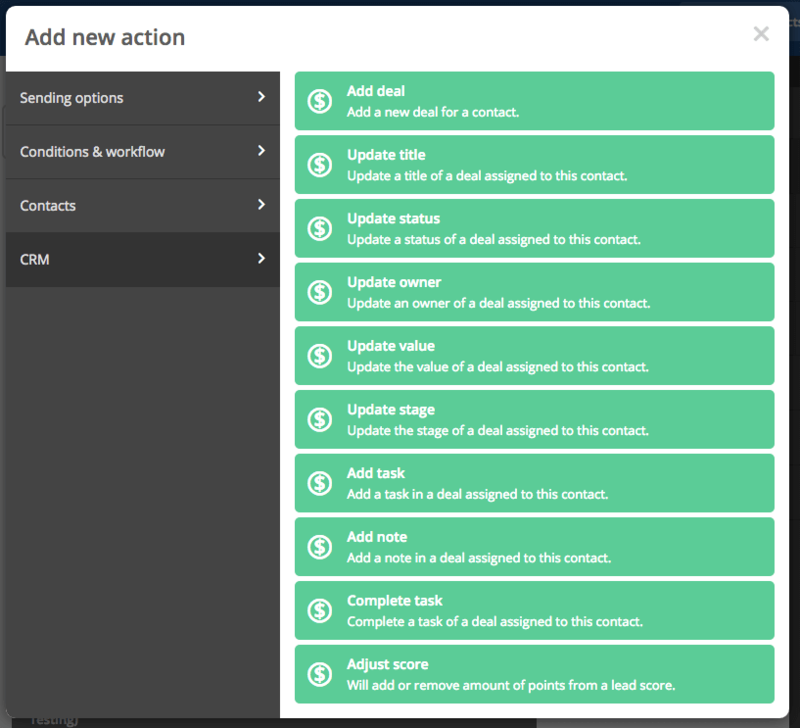 Add deal – creates a deal item in the CRM assigned to this contact. Update title – changes the title of a deal assigned to this contact. Update owner – change the Rep Nexus user which the deal is assigned to. Update value – change the monetary value assigned to the deal. Update stage – move the deal item from one stage to another. For more information about any feature of Rep Nexus, please contact us. We’ll be happy to assist you.